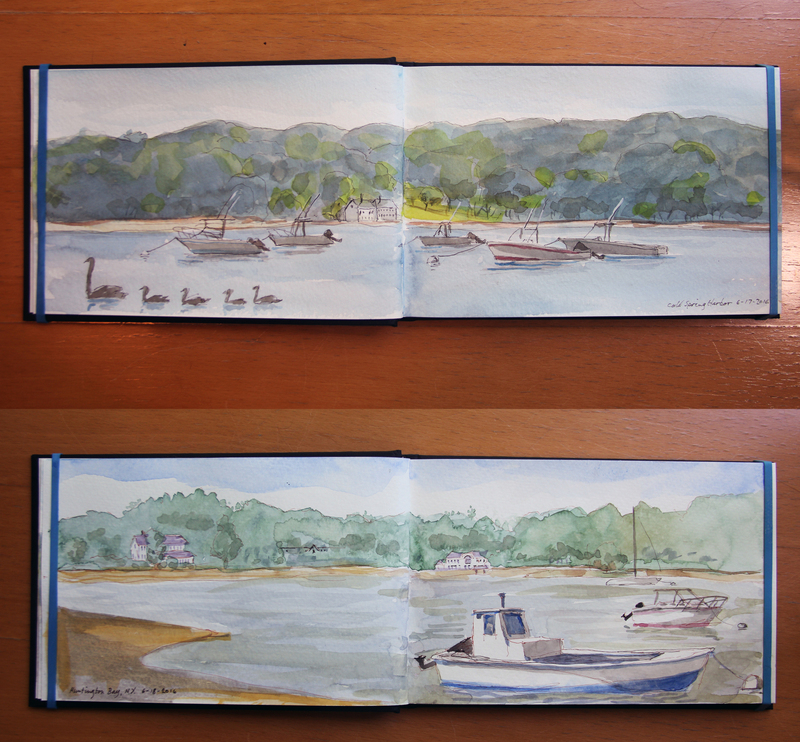 I'm trying to get out and sketch the local waterfront a bit more, using watercolor, which I have not used for perhaps 15 years or so until this summer. This is great weather, not too hot yet and certainly not too humid. I just slather on the sunscreen, wear a hat and try to find a shady spot so as to avoid Mister Skin Cancer should he be on the prowl. Top image is Cold Spring Harbor from the park. Second image is along Shore Road by Huntington Bay. Both are within a few minutes of where we live. It's good to be us.